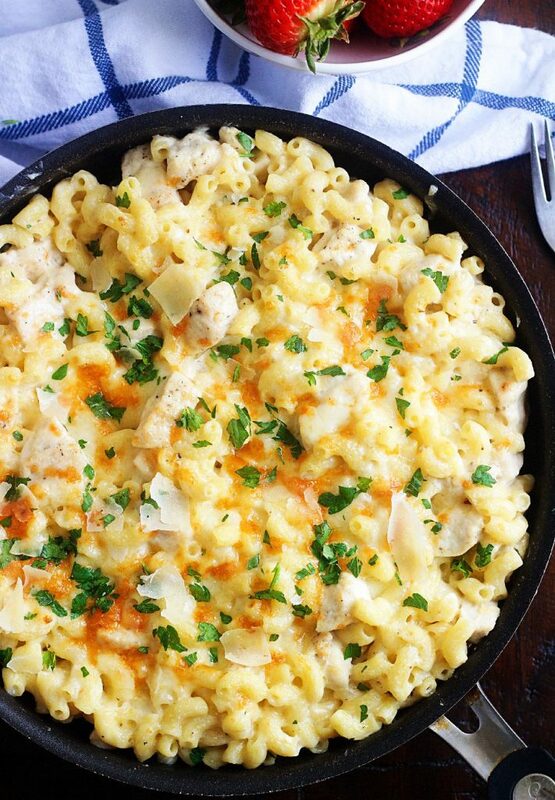 Dinner has never been easier thanks to this Chicken Alfredo Pasta Bake. 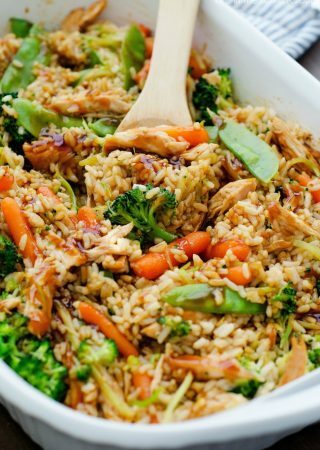 It’s so simple to throw together, tastes amazing and will definitely become a family favorite. Hey it’s Jodi again from 5 Boys Baker sharing a crazy, delicious pasta dish. Pasta is definitely a favorite around our house and requested all the time. It’s one of the things I could make four times a week and my boys would think I was the greatest mom ever. Heck, I might even be able to get them to fold the laundry and clean the bathrooms without any complaints if I made pasta that often. It doesn’t matter what kind of noodles or what kind of sauce, pasta is always a guaranteed winner around here. 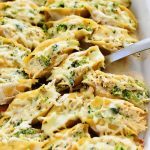 I saw this recipe for this Chicken Alfredo Bake awhile ago over at Jo Cooks and knew immediately it would be a huge it with all my boys. 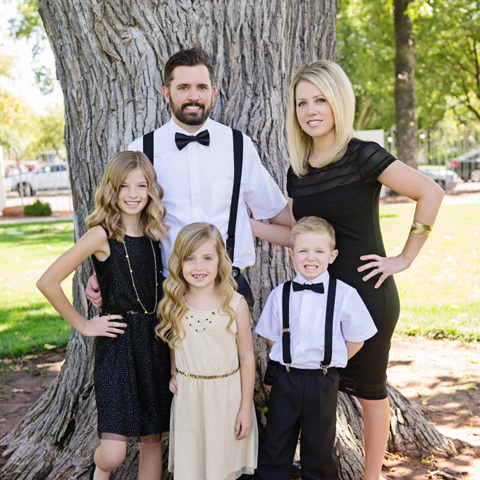 This is so simple to throw together and comes together in no time at all. 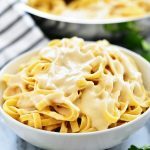 The ingredients are simple, nothing out of the ordinary, and I’m guessing you might even already have everything to make it. I made just a few changes to the original recipe and we think it’s amazing. I absolutely love simple dinners like this that come together in no time. It’s the perfect meal to make when you wonder if dinner is even going to happen. Do you ever have those nights? Oh I really, really hope you do, it would make me feel so much better. This is creamy, rich, comforting and will instantly become a favorite. Every time I’ve made this it’s been inhaled by all of us. 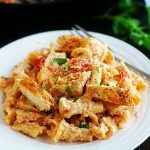 I serve it with a green salad and some yummy bread and it’s the perfect, comforting, filling meal. This is so, so good! Cook pasta according to package instructions. Drain, making sure to reserve the pasta water. In a large skillet melt 2 tablespoons of the butter over medium heat. Add chicken pieces and cook until chicken is no longer pink and begins to slightly brown. Remove chicken from skillet and set aside. Top with mozzarella cheese and place under the broiler for about 5 minutes or until cheese is bubbly and gets golden brown. Make sure you keep an eye on it so the top doesn’t burn. Garnish with parsley and more Parmesan cheese if preferred. 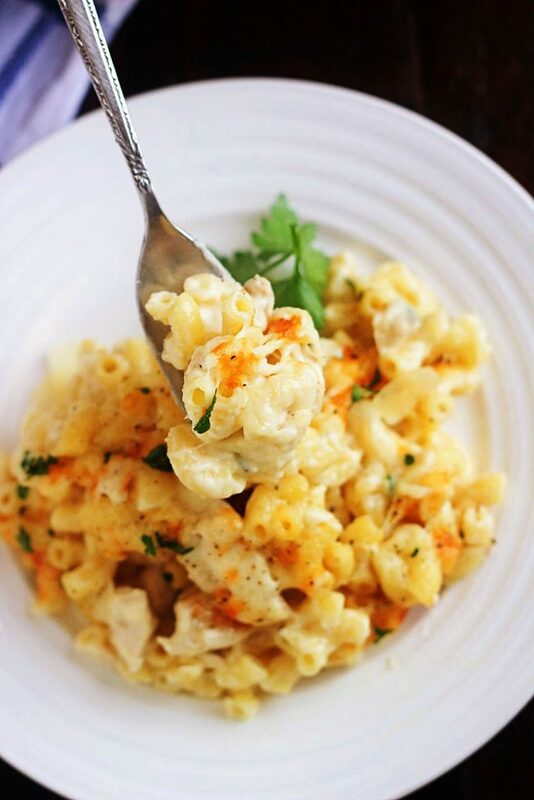 I’ve also used white sharp cheddar cheese on top and it’s absolutely delicious as well. Feel free to use any kind of cheese on top that you’d like. 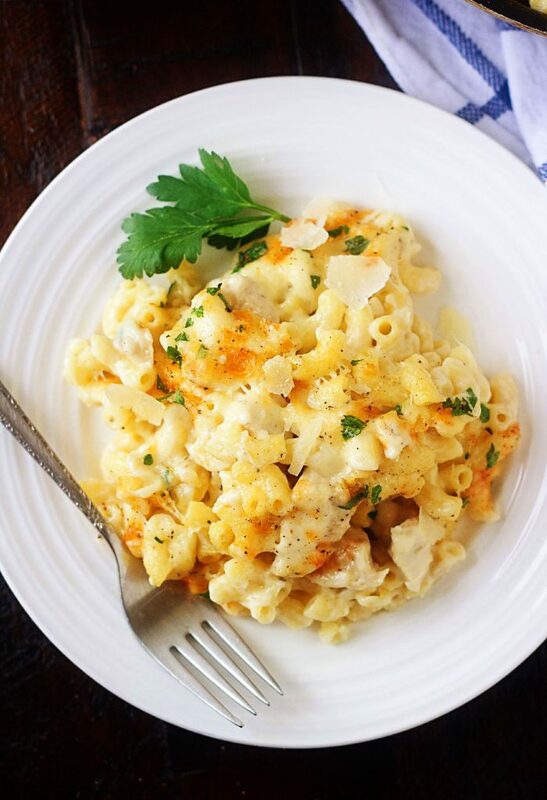 Chicken alfredo is one of the favorite dishes around here, can’t wait to try this recipe too! I made this to share with friends tonight and it was delicious! Maybe a little too rich (I will probably use more half and half cream or some milk next time), but it was really easy to follow and super easy to make! Thanks!